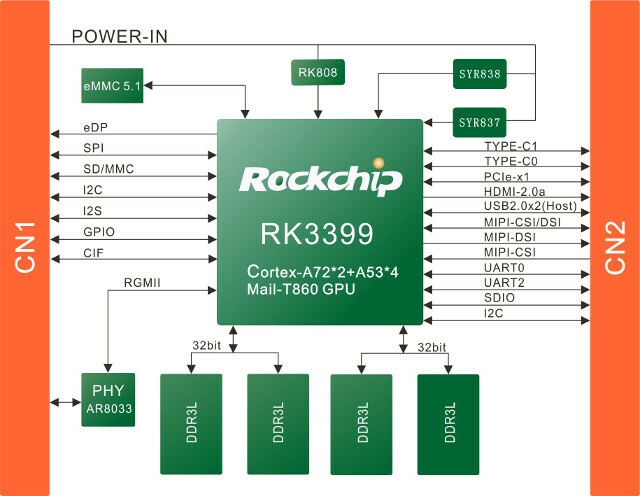 Looking for a system-on-module based on Rockchip RK3399 processor? 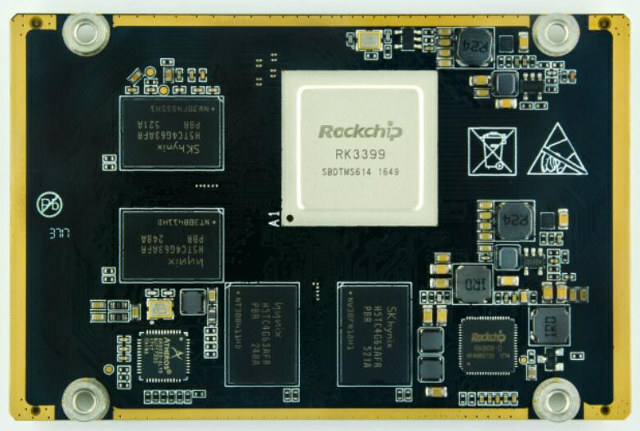 So far, you had at least four options with either edge connectors or castellated holes: Theobroma RK3399-Q7 (Qseven) SoM, 9Tripod X3399 core, Boardcon PICO3399 CPU module, or Firefly-RK3399 CoreBoard. 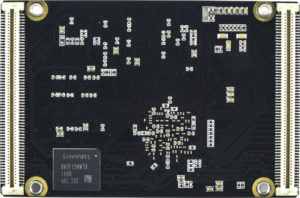 OpenEmbed now offers another RK3399 system-on-module with their em3399 SoM using board-to-board connectors interfacing with the carrier board. 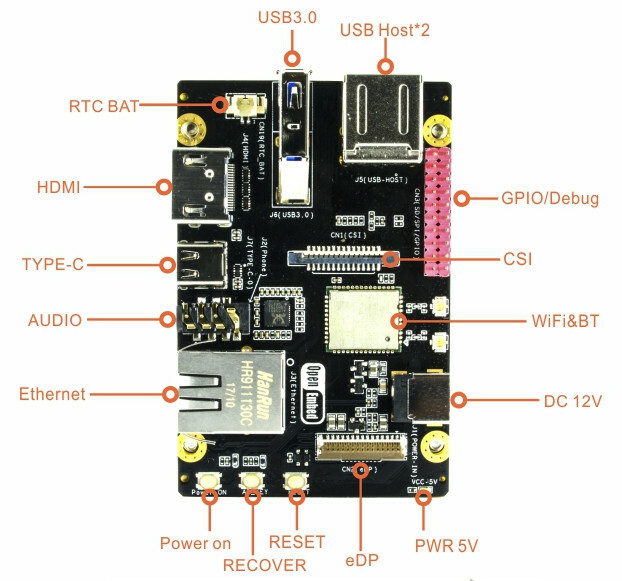 The Linux and Android are ready.And Ubuntu core is under development. We prefer to put the SDK in the Github in the Q2 of 2018. 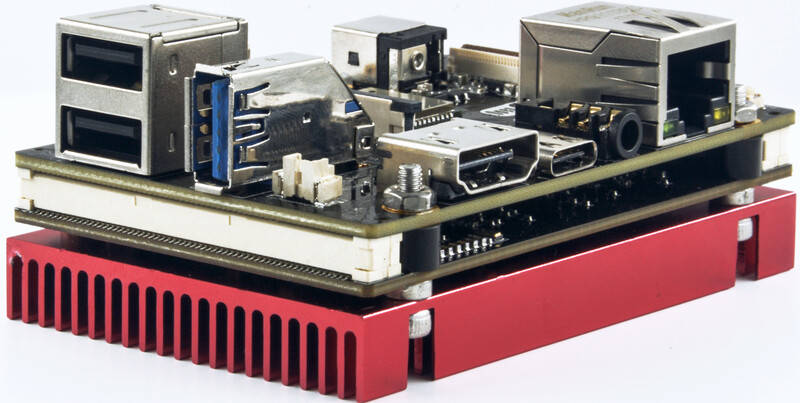 To help with development, a cute and compact evaluation kit is also offered with a large heatsink. 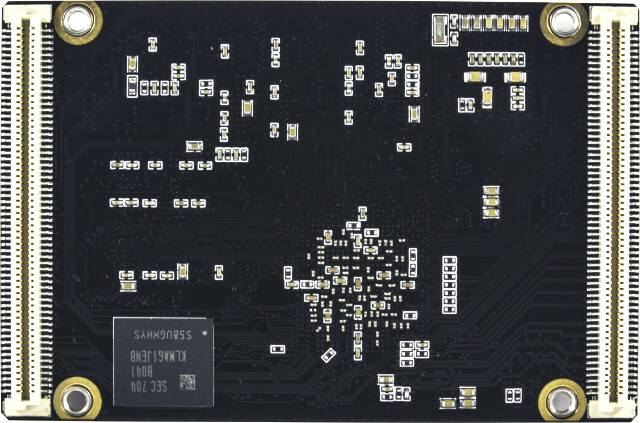 em3399 module sells for $99, and the EVB for $149 (including the module) as long as you purchase at least 100 pieces, but you can also get sample units for 20% extra either by contacting the company via the product page, or purchasing them on OpenEmbed’s Taobao page for respectively 650 CNY ($102.50) or 899 CNY (~$142 US) for 2GB/16GB configuration and 950 CNY ($151) or 1,199 CNY ($189) or for the 4GB/32GB models.